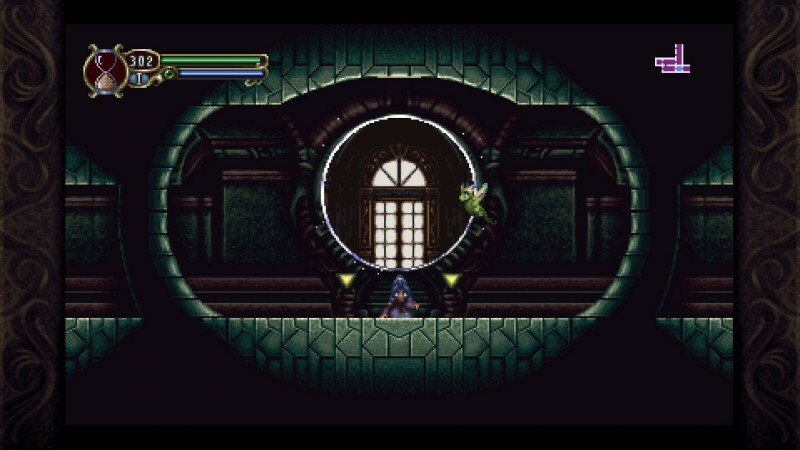 As one of many games mimicking the style and structure sanctified by Castlevania: Symphony of the Night, Timespinner has its work cut out for it. 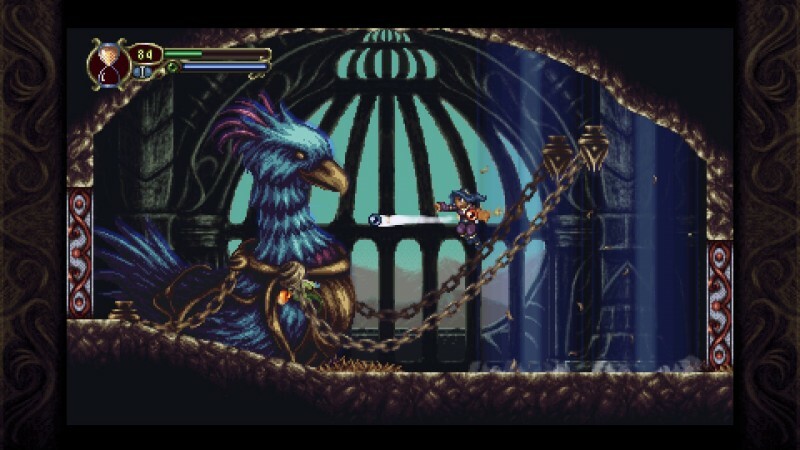 It introduces fun twists that distinguish it from the pack, but Timespinner is at its best when it’s comfort food, since it nails most of the fundamentals players expect to follow its classic look. 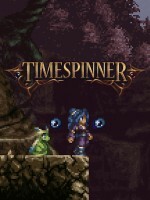 It takes a little while to get going, but nonetheless delivers a fun time-traveling adventure. 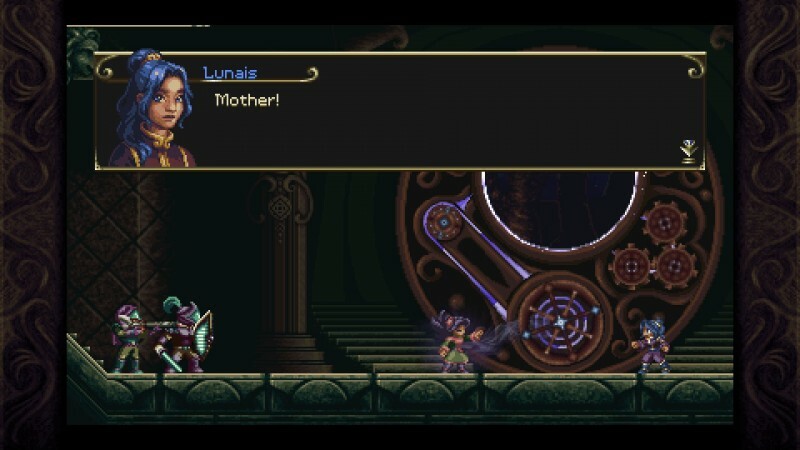 Playing as Lunais, a girl raised from an early age to be a time messenger, you must save your clan and village by traveling back to a time before the evil Lechiem empire that threatens them is all-powerful. Here’s the catch: Success means removing this particular timeline (and Lunais herself) from history. The plot is as labyrinthine as you’d expect from a story about time travel, and gets more complicated as it unfurls. Much of the exposition relies on notes found across the world. They aren’t long or plentiful, but as they complicate the roles of Lunais, the countries at war, the people stuck in the middle of the conflict, I had to keep going back to them just to make sense of what exactly was happening. The overall thrust of the story comes through even if you don’t get the whole picture, however, and seeing the conclusion to Lunais’ story was one of my main motivations to explore Lechiem. 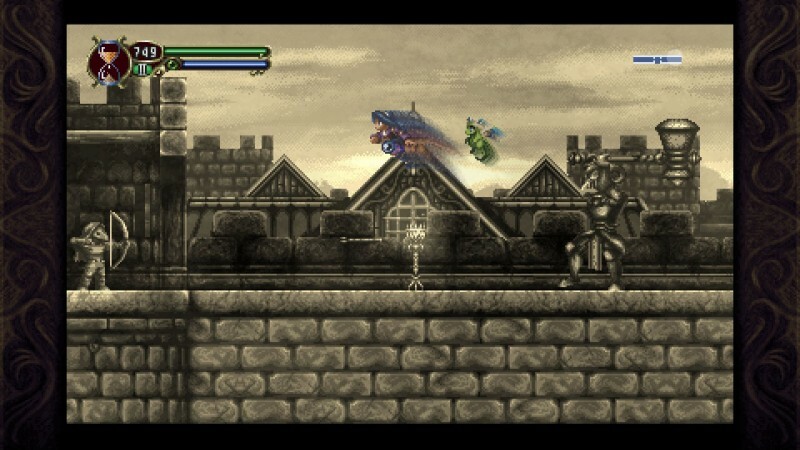 Lunais’ time-bending powers let you stop time whenever you want, freezing the world and enemies in place. This helps you get out of dangerous situations and use enemies as platforms; I was able to access a few areas I probably shouldn’t have early on by luring enemies towards high jumps and freezing them in place. 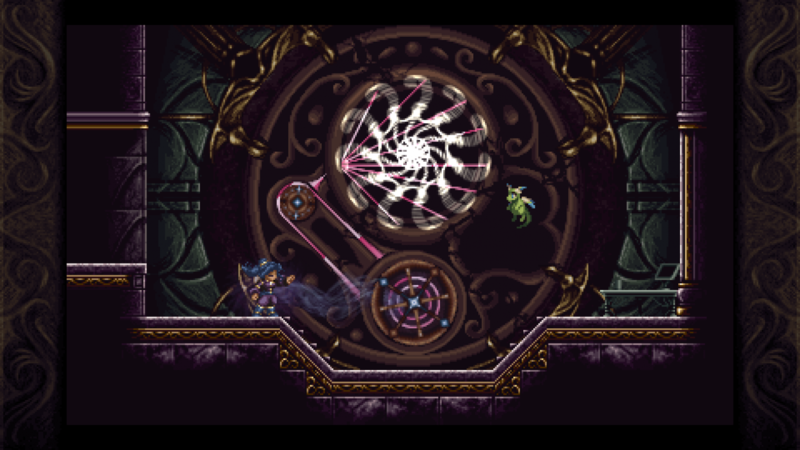 That said, there are only a handful of satisfying puzzles or platforming challenges that use this power, and I’d regularly forget I even had it for long stretches of time. With it being a central mechanic, that’s disappointing. Fortunately, other aspects pick up the slack. 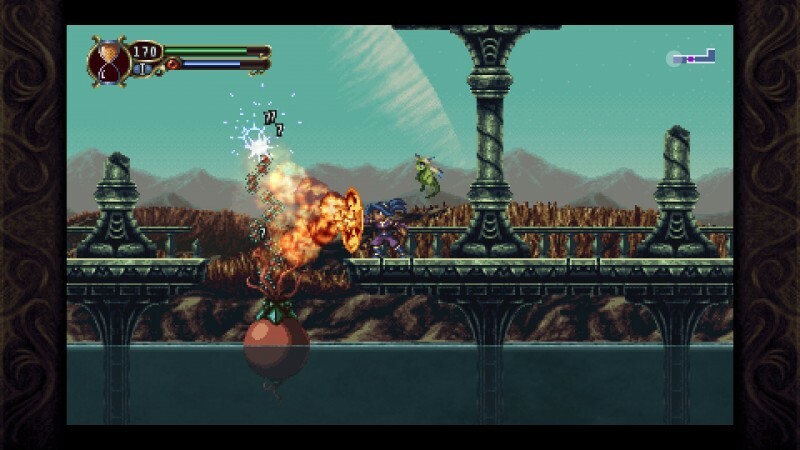 Instead of equipping weapons like swords or axes, Lunais uses magic orbs to dish out damage, and you have a number of cool combat options at your disposal. Along with a basic melee attack, you can summon pistols, shoot lightning, and chuck icicles as your main offense. It’s a clever system, as different enemies have elemental weaknesses you can exploit by swapping your loadout, and you can equip two kinds of orbs to vary your damage output and element. 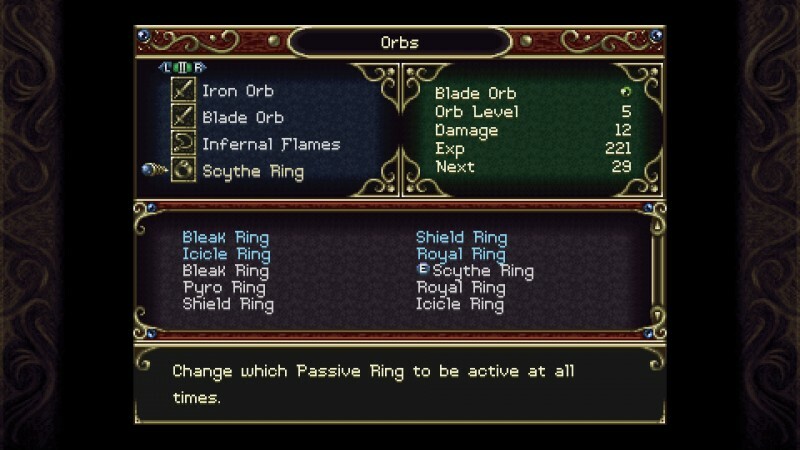 I usually found it best to stick to two of the same kind and swap loadouts with the press of a button, since having different orbs can lead to some unwieldy attack patterns. Lechiem’s grid-based map seems large at first as you start carving out its various nooks and crannies, but it follows a fairly strict progression from left to right. Most of the interesting divergent paths are back-loaded in the second half, so you spend much of the first half simply moving forward. 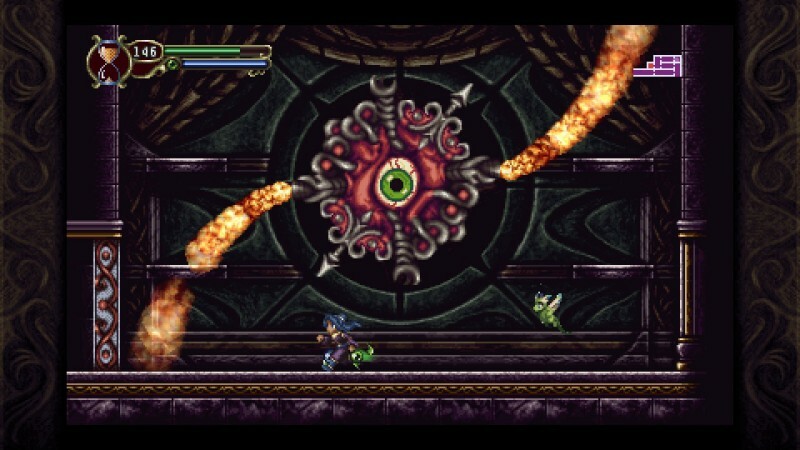 You have enough secrets and optional paths to explore later on, most of which offer a challenging boss fight or cool reward as you make your way to 100-percent map completion. I wish these were more evenly dispersed instead of bunched up near the end, though, since the mainline bosses are rare and mostly pushovers, which exacerbate the slow start. You also unlock side quests for some of the friends you make during your journey, but these end up being fairly basic fetch quests and don’t offer much of a reward beyond learning about the character who gives them to you. These stories add some interesting layers to some of the cast, but don’t feel essential. 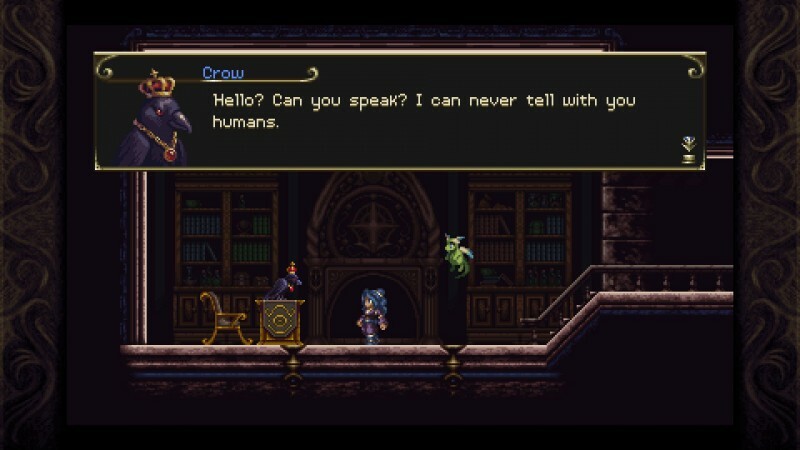 I can’t deny the allure of the formula Timespinner is aping, and if its pixelated font and damage numbers give you nostalgic shivers, don’t hesitate to give it a shot. It doesn’t escape its genre trappings, but its combat, late-game exploration, and interesting plot make for a strong foundation that hooked me long enough for it to all come together. 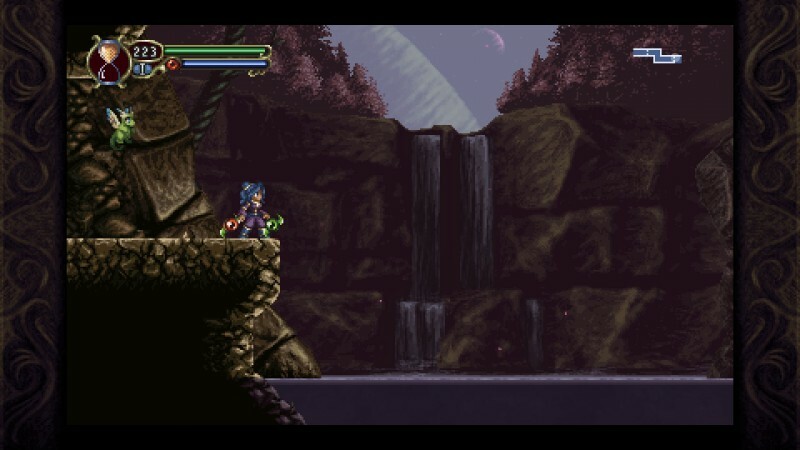 Timespinner takes some time to come together, but its combat, exploration, and story make it worthwhile.